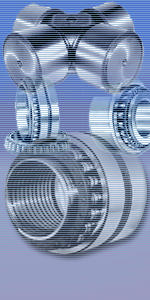 JMC CROSS Bearings are Cylindrical Roller Bearings with forged one piece bush, mainly used for heavy duty applications in steel plants and rolling mills. Oil sealing is properly done to avoid the lubricant losses and also to avoid the penetration of water or impurities, inside the Bearings. Under proper load with safety operations. Long rating life with free workmanship. JMC Journal Cross Assemblies & Cross Bearings are lubricated with Lithium base Grease for ready to use. 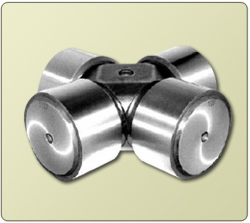 Assemblies and Cross Bearings as per customer requirements. Also we can refurbish the cross and make suitable bearings for the same. We may require one sample for development of new sizes.